We do! 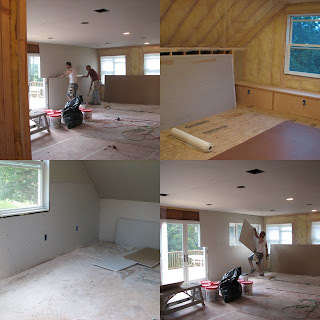 The dry wall team is working overtime today to finish the inside walls of Grandma's apartment - quite a process! Meanwhile Dad is perfecting his shingling abilities and Uncle Mark is on the ladder support crew!